The Mecca is a tea and coffee merchant in the town of Aberystwyth, Wales. Now sadly I have never been there, but my friend visits that part of the world quite regularly and she says that it is a fabulous little shop with friendly, knowledgeable staff. She freely admits that she knows nothing about tea, but they were so informative, they were able to provide her with a great selection to gift to me! Silver Needle White Tea is made from the buds of the tea plant; no leaves or stems are used, making it the best white tea there is on the market. For this reason, it is also the most expensive of the white teas. 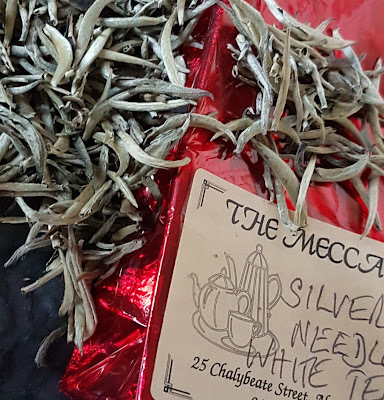 The tea buds are harvested by hand before they have opened, they have a sharp tip and are covered with fine silver hairs, hence the name Silver Needle. The finest flavoured Silver Needle teas come from the first generation of buds between the months of March and April. The harvesting only lasts a couple of days and is therefore known as the Imperial Harvest. The tea when prepared is a pale yellow; in sunlight it shimmers, as some of the fine hairs in the cup reflect the rays of light. 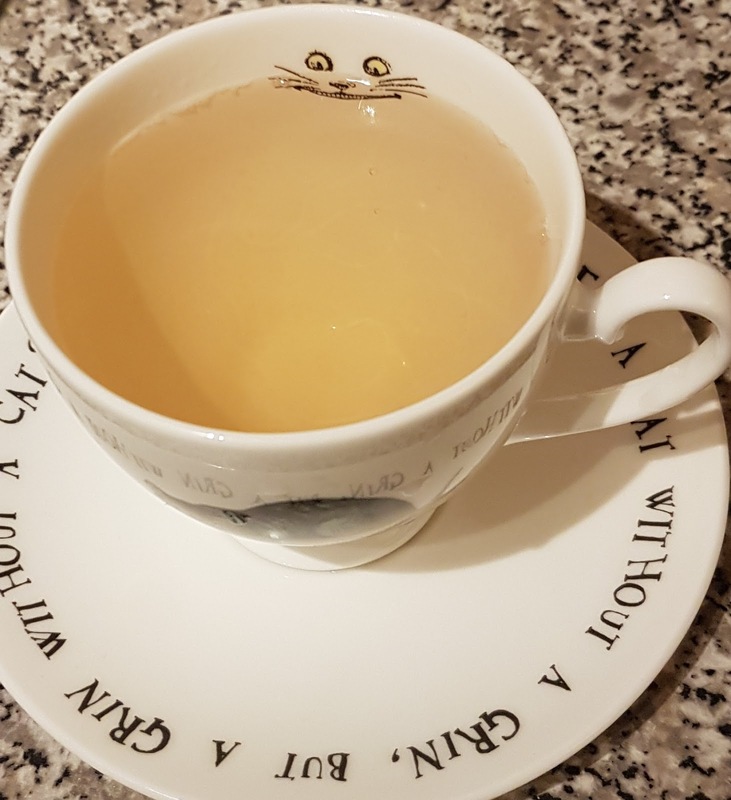 It is a mellow and delicate tea with a slightly sweet aftertaste and very refreshing. The flavour comes from the way the buds are processed. Ideally, once picked the buds are left in shallow baskets to wilt in direct sunlight. Three days later, the buds will be dried out at a low temperature before being packed and shipped to its various destinations. 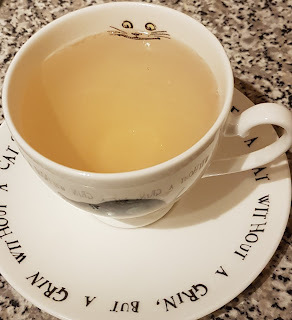 As the tea is not overly processed, it is considered a healthy tea; rich in polyphenols, aiding digestion, protecting the heart and boosting the immune system. It is a very special tea and one to consider when you want to treat yourself, despite the higher than average price tag! Sadly, The Mecca does not have an online shop...so I guess I am going to have to make a special journey there myself one day!